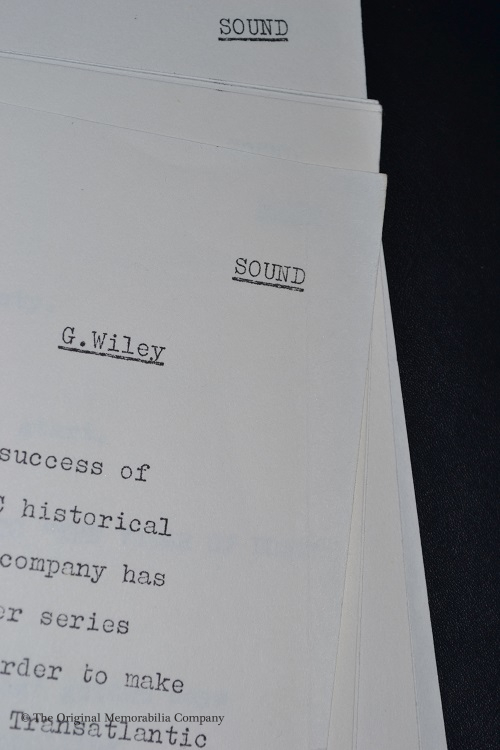 Rare 1971 G. Wiley script 'Elizabeth Ah Ha' Rare 43 year old SIGNED script from the very first series in 1971 written by the legendary G. Wiley, the late great Ronnie Barker. Rare 43 year old SIGNED script from the very first series in 1971 written by the legendary G. Wiley, the late great Ronnie Barker. 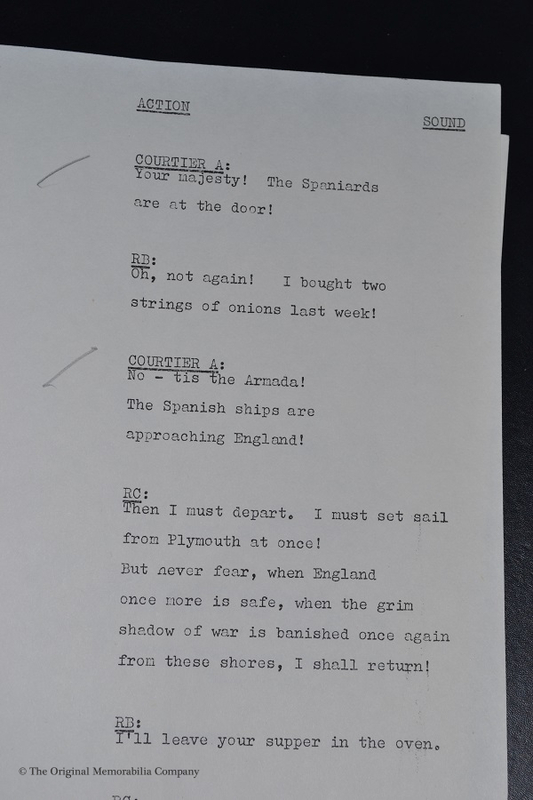 An incredibly rare Two Ronnies script from the very first series in 1971. 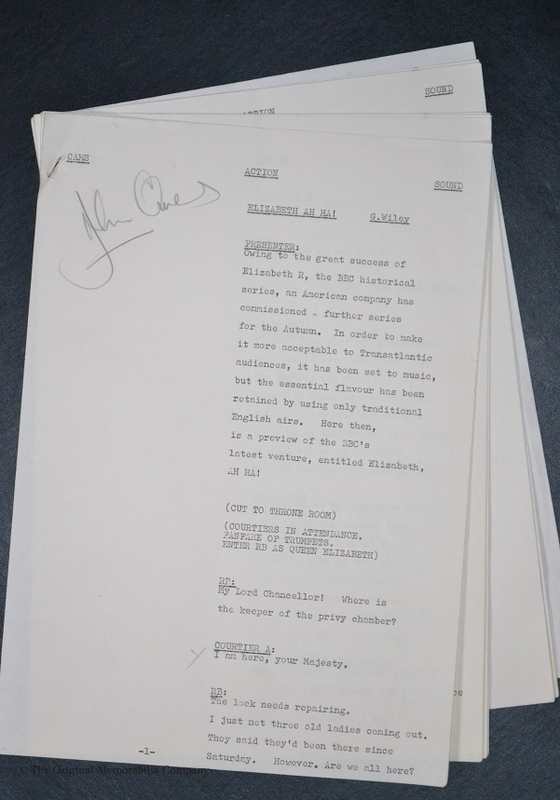 This is John Owen's personal 10 page production script from more than 43 years ago for the 'Elizabeth Ah-Ha!' 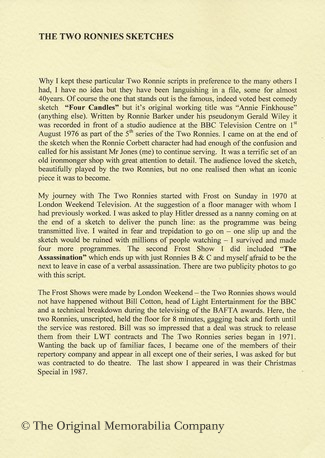 musical sketch written by the legendary G. Wiley, the late great Ronnie Barker. Broadcast 15th May 1971. 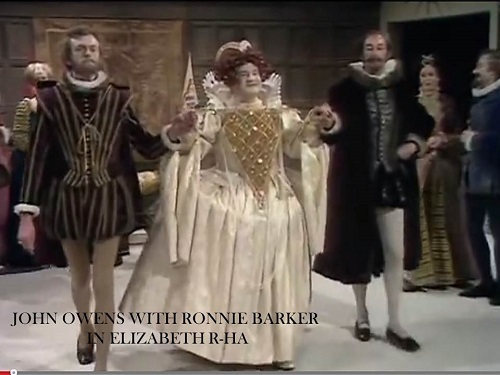 John Owens appeared in the sketch alongside the Two Ronnies, playing a courtier. John first worked with Ronnie Barker & Ronnie Corbett on the Frost Report in 1970 and went on to appear in every series of the Two Ronnnies apart from one. and the iconic 'Fork Handles' sketch. A copy of this letter will be provided with this sale. John has also personally signed the front page. Condition of this item is excellent. It shows signs of age and has minor creasing. A small pencil notation has been made, presumably by John who has highlighted his role in the sketch. In our opinion this piece would look fantastic framed. Details of archival framing options on request.